A multiple sclerosis patient who has been self-medicating herself with bee venom will speak Thursday at an annual event sponsored by the Central Texas Beekeepers in Brenham. Alice Daley and her husband, Bill, said they initially learned about venom therapy in 1995 during a support group meeting for MS patients. Bill Daley administers the venom once a week to his wife, who suffers from the autoimmune disease that affects the brain and spinal cord. She has received more than 17,000 stings since beginning the treatment. Some use venom in a cream, ointment or injection form, the latter of which is used on her. "I have a record of every sting I've ever given her," Daley said. "I give her 32 stings every week; five on each arm and leg, nine on her back, one on her neck and two on her chest." Alice Daley said that while the treatment isn't commercially available or medically approved, it works for her. "It keeps me out of the hospital," she said. "I get bee stings every week, and I haven't yet had a crash." And, not only is she more mobile, she said, but doctors at her last neurological appointment could no longer find lesions that had been present on her brain. Bill Daley, who is a certified reflexologist, also uses bee venom on some of his patients. "I sting a handful of people for arthritis and energy," Daley said. "There's one guy who gets stung just to feel better." Kelling said bee venom therapy is not uncommon, though people should make sure they're not allergic to bee stings before trying it. "I've heard my whole life about people with arthritis who had used stings on their knuckles," Kelling said. "It relieved people of the condition for a while." While Kelling said he's not sure of the medicinal value of bee venom, he's been stung many times while working with his bees. These workshops are very rewarding and not just for beekeepers, but for advanced practioners, too! Ideal for beginners and advanced practitioners alike; will also include a silent auction with unique apitherapy gifts & products. Purpose: to study the effect of aqueous propolis extract (AEP) against indomethacin (Indo)-induced gastric ulcers in irradiated and non-irradiated rats. Materials and methods: animals were irradiated at different radiation dose levels before the induction of ulcers. AEP was injected orally one hour (h) before induction of gastric ulcers and the effects compared with those of lansoprazole (Lanso), which was used as a reference anti-ulcerogenic drug. Results: pretreatment of rats, either irradiated or non-irradiated, with AEP effectively protected against Indo-induced gastric ulceration. This was associated with a reduction in acid output and peptic activity and an increase in the secretion of mucin. The mucosal prostaglandin E2 (PGE2) level was also increased. The levels of tumor necrosis factor-alpha (TNF-α) and interleukin-1beta (IL-1β) were suppressed to the same extent after treatment. Both propolis and Lanso were effective in reducing the number of gastric lesions as well as the plasma level of malondialdehyde (MDA). Conclusions: These findings indicate that the gastroprotective effect of AEP could be of value in the management of excessive gastric damage induced by radiation exposure. The aim of this study was to evaluate and compare the antimicrobial activity of calcium hydroxide, triantibiotic mixture (TAM), and an ethanol extract of propolis as intracanal medicaments on Enterococcus faecalis–infected root canals. One hundred twenty extracted intact human permanent incisors were decoronated, and chemomechanical preparation of the root canal was performed. After sterilization of the samples, they were inoculated with pure culture of E. faecalis and incubated. After incubation, colony-forming units were recorded before medication. Then, samples were divided randomly into five groups (n = 24). Each group was then exposed to various intracanal medicaments, namely calcium hydroxide (group 1), TAM (group 2), propolis (group 3), ethanol (group 4), and saline as the control group (group V). The antibacterial effectiveness of the different intracanal medicament was recorded by determining the percentage reduction in colony counts (%RCC) at the end of days 1, 2, and 7. The data were statistically analyzed using one-way analysis of variance and Tukey Honestly Significant Difference (HSD) post hoc test. The %RCC was highest for propolis showing 100% reduction on day 2 followed by TAM showing 82.5%, 92.2%, and 98.4% of reduction on days 1, 2, and 3, respectively. Calcium hydroxide showed a gradual increase in antibacterial activity with a maximum of 59.4% on day 7. Propolis was more effective than TAM against E. faecalis at a 2-day time period, and both were equally effective at 7 days. "Manuka honey could be an efficient way to clear chronically infected wounds and could even help reverse bacterial resistance to antibiotics, according to research presented at the Society for General Microbiology’s Spring Conference in Harrogate. Professor Rose Cooper from the University of Wales Institute Cardiff is looking at how Manuka Honey interacts with three types of bacteria that commonly infest wounds: Pseudomonas aeruginosa, Group A Streptococci and Meticillin-resistant Staphylococcusaureus (MRSA). Her group has found that honey can interfere with the growth of these bacteria in a variety of ways and suggests that honey is an attractive option for the treatment of drug-resistant wound infection. The present study investigates the encapsulated propolis on blood glycemic control, lipid metabolism, and insulin resistance in type 2 diabetes mellitus (T2DM) rats. The animal characteristics and biological assays of body weight, fasting blood glucose (FBG), fasting serum insulin (FINS), insulin act index (IAI), triglycerides (TG), total cholesterol (TC), high-density lipoprotein cholesterol (HDL-C), and low-density lipoprotein cholesterol (LDL-C) were measured and euglycemic hyperinsulinemic glucose clamp technique were used to determine these effects. Our findings show that oral administration of encapsulated propolis can significantly inhibit the increasing of FBG and TG in T2DM rats and can improve IAI and M value in euglycemic hyperinsulinemic clamp experiment. There was no significant effects on body weight, TC, HDL-C, and LDL-C in T2DM rats treated with encapsulated propolis. In conclusion, the results indicate that encapsulated propolis can control blood glucose, modulate lipid metabolism, and improve the insulin sensitivity in T2DM rats. Background/Aims: Bee venom (BV) therapy has been used to treat inflammatory diseases including rheumatoid arthritis in humans and in experimental animals. This study was conducted to examine the therapeutic effect of BV on established lupus nephritis in New Zealand Black/White (NZB/W) F1 female mice. Methods: Beginning at 18 weeks of age, mice were given a subcutaneous injection of either BV (3 mg/kg BW) or an equal volume of saline once a week until the end of the study. To examine the effect of BV on CD4+CD25+Foxp3+ regulatory T cells, splenocytes from NZB/W mice (23 weeks of age) were treated with BV (1 µg/ml) or PBS in the presence of anti-CD3ε (1 µg/ml) and anti-CD28 antibodies (4 µg/ml) for 48 h.
Results: BV administration delayed the development of proteinuria to a significant extent, prevented renal inflammation, reduced tubular damage, and reduced immune deposits in the glomeruli. Interestingly, CD4+CD25+ regulatory T cells were significantly increased in vitro and in vivo after BV treatment. Conclusion: Collectively, the administration of BV that has immune modulating effects represents an applicable treatment of lupus nephritis in NZB/W F1 mice. Researchers are using propolis, a resinous substance produced by honey bees, to fight cavities and are examining whether the compound can be used to control hypertension, the National Autonomous University of Mexico, or UNAM, said. Bees use propolis, which is made from plant resins gathered by the insects, to seal hives, UNAM said. The chemical structure of propolis "varies due to factors such as the time of year, flowering and the region where the insects gather it," the university said. The project, whose goal is to promote the use of a "wasted resource," is being carried out by UNAM School of Chemistry researcher Jose Fausto Rivero Cruz and veterinarians Angel Lopez Ramirez and Adriana Correa Benitez. Mexico produces just six tons annually of propolis even though it is the world's sixth-largest honey producer, the researchers said. Propolis is mainly used in Mexico to deal with coughs, but it is known that the substance has other therapeutic uses and can help in the treatment of viral infections, scars, swelling, allergies and pain. The researchers tested the effects of propolis on the bacterial organisms that cause cavities - Porphyromonas gingivalis and Streptococcus mutans - and isolated some compounds that help fight the dental problem. "With these discoveries, we can look for ways to prevent cavities," Rivero Cruz said. The researchers are also looking at using propolis to control high blood pressure, but that phase of the project is going more slowly and has not entered the test stage yet, UNAM said. Indian J Plast Surg, 2011 Jan;44(1):112-7. AIM: The effect of Tualang honey on wound healing in bacterial contaminated full-thickness burn wounds was evaluated in 36 male Sprague Dawley rats. MATERIALS AND METHODS: The rats were randomly divided into three groups (n = 12/group). Three full-thickness burn wounds were created on each rat. Each group of rats was inoculated with a different organism in the burn wounds: Group A was inoculated with Pseudomonas aeruginosa, Group B was inoculated with Klebsiella pneumoniae and Group C was inoculated with Acinetobacter baumannii. One wound on each rat was dressed with either Tualang honey, Chitosan gel or Hydrofibre silver. Each wound size was measured on day 3, 6, 9, 12, 15, 18 and 21 of the study. RESULTS: The mean wound size of the Tualang honey-treated wounds was not statistically different than that of the Chitosan gel or Hydrofibre silver-treated wounds when the wounds were compared throughout the entire experiment (P > 0.05). However, comparing the mean wound size on day 21 alone revealed that the Tualang honey-treated wounds were smaller in comparison to that of the Chitosan gel and Hydrofibre silver-treated groups. CONCLUSIONS: This study shows that topical application of Tualang honey on burn wounds contaminated with P. aeruginosa and A. baumannii gave the fastest rate of healing compared with other treatments. Designing propolis products for external use involves determining the optimal form of propolis for the introduction into dermatological pharmaceuticals and cosmetic preparations. 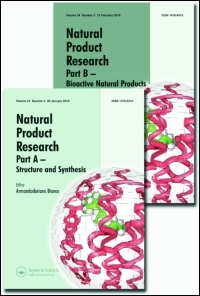 As a potent ingredient, propolis oil extract from raw material harvested in Lithuania was analysed. The rheological characteristics, content of phenolic compounds, major compounds and antimicrobial activity of the propolis oil extract are investigated here for the first time. The propolis oil extract was produced by maceration using different solvents, raw material was collected in Lithuania. Solvent mixture with 96% ethanol increased the rheological stability and extracted amount of phenolic compound. High-performance liquid chromatography identified the potent quality markers for Lithuanian propolis, phenylpropanoid vanillin, coumaric acid and ferulic acid. Antimicrobial activity of propolis oil extract was evaluated in experimental studies in vitro, and the minimal concentration of phenolic compounds that inhibited respective microorganisms was determined. The results demonstrate that phenolic compounds have effective antimicrobial activity in propolis oil extract; thus, it can be compatible with the semisolid preparation. Present study was conducted to determine the effects of honey on blood hemostasis, in-vitro effect of honey was observed on platelet aggregation and blood coagulation employing, activated partial prothrombin time (aPTT), prothrombin time (PT), thrombin time (TT) and fibrinogen levels in blood. Honey samples showed moderate inhibition of platelet aggregation with IC(50) 5-7.5%. The coagulation assays showed that at higher concentrations (>15%) honey samples increased whole blood clotting time. When assayed in platelet poor plasma (PPP), honey samples significantly (P>0.005) prolonged aPTT, PT, and TT. The honey samples (at 3.75% and 7.5% concentrations) cause mean increment of aPTT = 19±10% and 62±10%; PT 6±5% and 40±5%; TT 35±15% and 112±30% respectively. Moreover, PPP isolated from whole blood pre-incubated with honey samples (9.0% for 10 minutes) showed mean prolongation of aPTT, PT and TT of 45±21%, 26±9% and 105±24% respectively. Interestingly, incubation of honey at 6.25% and 11.75% concentrations in PPP considerably (P≥0.005) reduced fibrinogen levels i.e. 13±4% and 86±30% respectively. On the basis of present and previous results, it can assumed that honey might interfere at several steps in the formation of atherosclerotic disease this effect finally translates into the prevention of vascular disorders such as cardiovascular and cerebrovascular disorders. Chrysin (5,7-dihydroxyflavone), a natural flavonoid occurring in various plants and foods such as propolis and honey, reportedly opposes inflammation and carcinogenesis, but has rarely been applied in skin care. This study, therefore, aimed to explore the roles of chrysin in protection against UV-induced damage in HaCaT keratinocytes. Results showed that chrysin can attenuate apoptosis, reactive oxygen species (ROS) production, and cyclooxygenase 2 (COX-2) expression induced by UVB and UVA. Chrysin predominantly reversed the downregulation of aquaporin 3(AQP-3) by UVB. It predominantly reversed JNK activation and also mildly inhibited p38 activation triggered by UVA and UVB. Animal studies revealed that chrysin's topical application demonstrated efficient percutaneous absorption and no skin irritation. Overall, results demonstrated significant benefits of chrysin on the protection of keratinocytes against UVA- and UVB-induced injuries, and suggested its potential use in skin photoprotection." 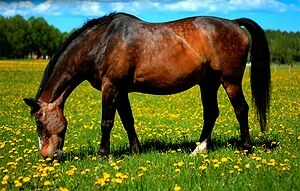 Honey works - we treated a horse injury caused by a barbed-wire fence with raw, wildflower honey. He healed in a week!!! Dr Bischofberger is a Swiss veterinarian currently with the Research and Clinical Training Unit(REaCT) at the University Veterinary Teaching Hospital in Camden (UVTHC), a part of the University of Sydney. (NaturalNews) Many people are aware of the health benefits of honey, but few are aware of the benefits that Royal Jelly has to offer. This is the substance that is produced by worker bees to feed the young bee larvae and the Queen bee in the hive. This substance offers many benefits to people, such as lowering cholesterol levels, wound healing properties and even anti-cancer properties. Royal Jelly has anti-inflammatory properties. This applies when it is applied topically or ingested internally, making it an excellent supplement for those suffering from arthritis. It has been shown to stimulate the growth of brain stem cells, thereby making it an effective tool in preventing both Parkinson's and Alzheimer's disease. Research done in both Japan and Croatia show that Royal Jelly may have significant anti-cancer properties. In one study, mice were injected with cancer cells. When they were then injected with Royal Jelly, it drastically reduced the spread of the cancer cells. It is believed that Royal Jelly is able to improve the quality of a woman`s eggs, thereby aiding fertility issues and promoting overall health of the reproductive organs. Many women report that Royal Jelly is able to help reduce the effects and symptoms of PMS because of the fact that it is able to balance and regulate hormone levels in the body. This nutrient is also able to assist those suffering from insomnia and autoimmune disorders such as rheumatism. It is able to boost sexual libido and even help regenerate bone growth. It is able to boost the immune system, making it effective in fighting against infections. Over the years, Royal Jelly has been given to premature infants to help them gain weight. Studies have shown that it is also useful for ulcers, digestive disorders such as constipation, circulatory problems and cardiovascular ailments. It also has remarkable anti-aging properties because it helps to improve collagen production in the skin. In summary, Royal Jelly is able to assist with regulating all of the functions of the human body. People who are allergic to bees or honey products should exercise caution when using this product, as serious allergic reactions may occur. About the author: Shona Botes is a budding blogger, as well as a fabulous frugalist. Her spare time is spent engaged in blogging, cycling, photography, as well as green living and natural healing and remedies.